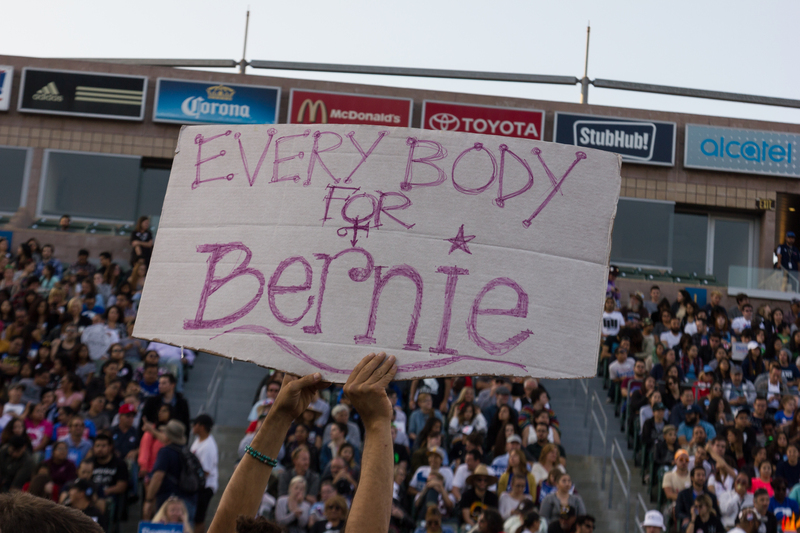 I was able to take photos at Bernie Sanders’ Southern California Election Night Rally in Carson, CA at the Stubhub Center. 8,000 people made it into the tennis stadium and 13,000 people were in the overflow area. 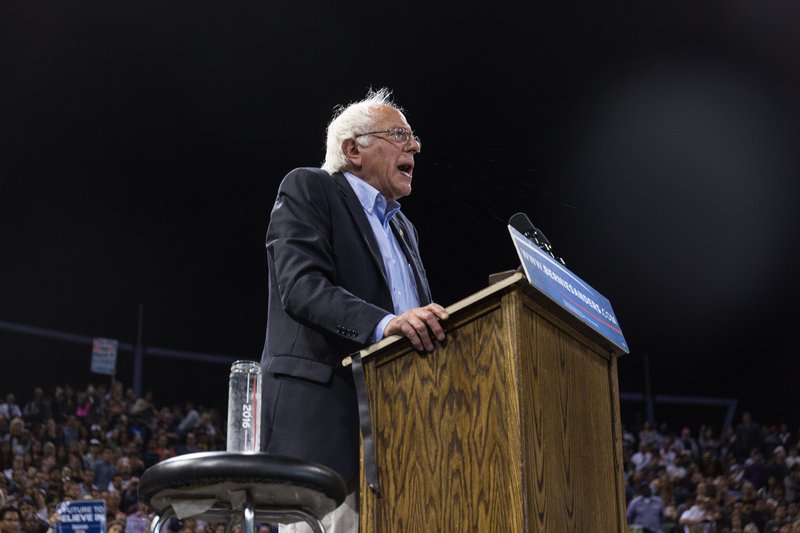 He spoke about universal healthcare, immigration reform, income inequality, free college tuition, and his opponents Hillary Clinton and Donald Trump. I’m working on the video now, but there were no protests so it will be different than my other ones. It should be up in a couple of days. 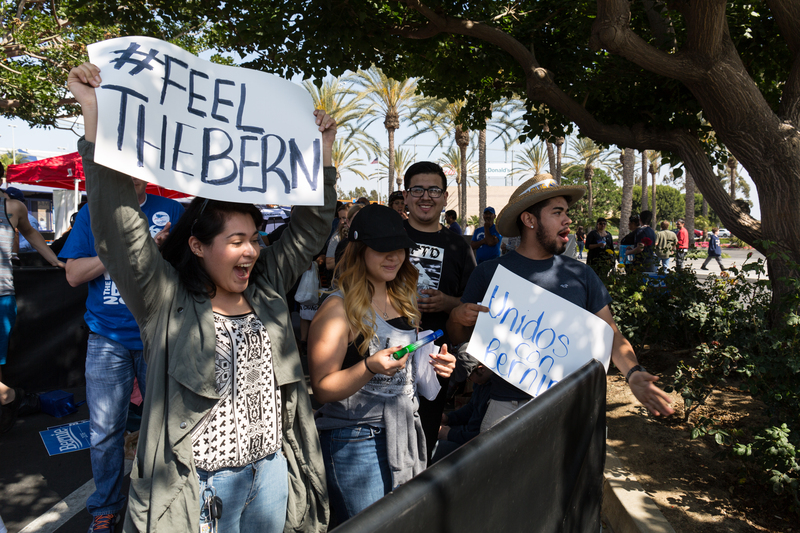 Bernie Sanders supporters near the front of the line to get into the Stubhub! Center in Carson, CA on May 17, 2016. They made signs to show their support nearly 3 hours before the rally’s scheduled start. 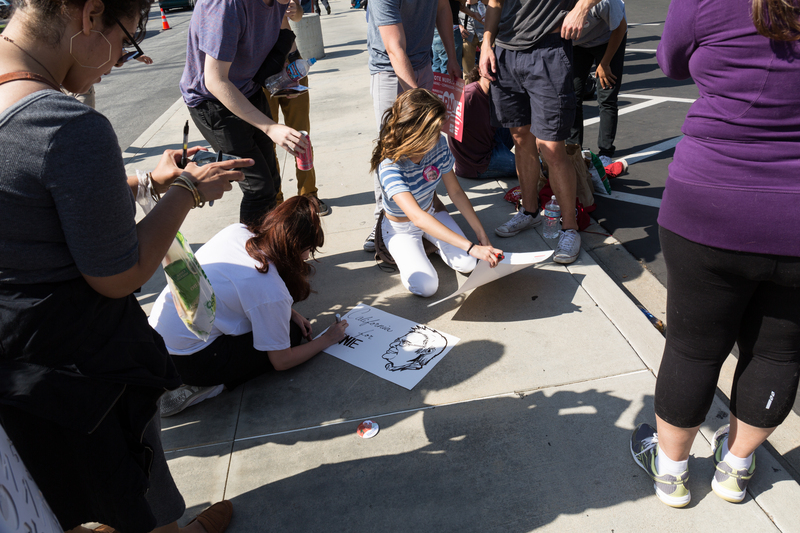 More Sanders supporters making signs while waiting to get into the Stubhub Center in Carson, CA for Bernie Sander’s rally on May 17, 2016. 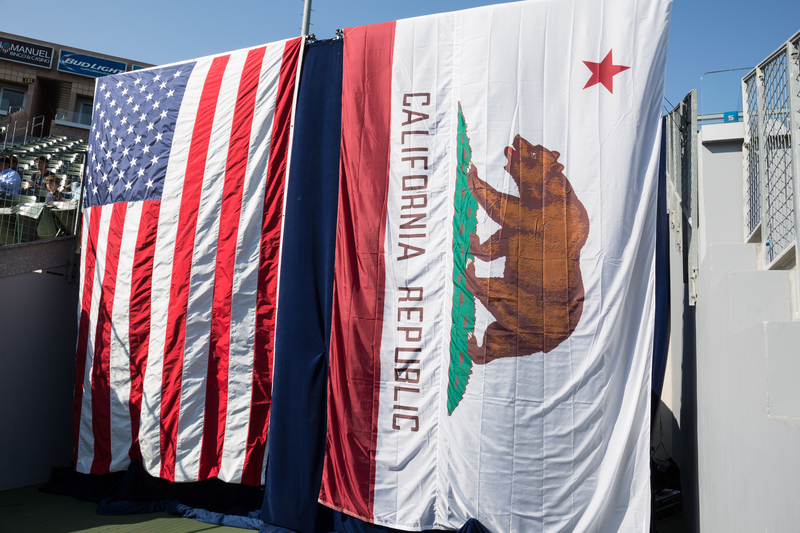 An American and California flag hang side by side where Senator Sanders and his guests will come out of during the rally in Carson, CA on May 17, 2016. 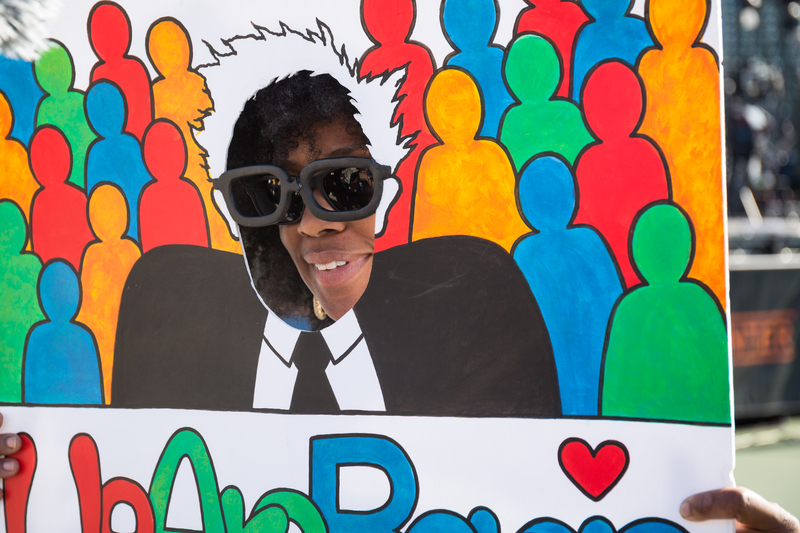 A Sanders supporter holds a sign with a hole cut in it and glasses to imitate the look of Senator Sanders inside the rally in Carson, CA on May 17, 2016. A Bernie Sanders supporter holds up a sign that says Everybody for Bernie with symbol for the musician Prince who recently died. 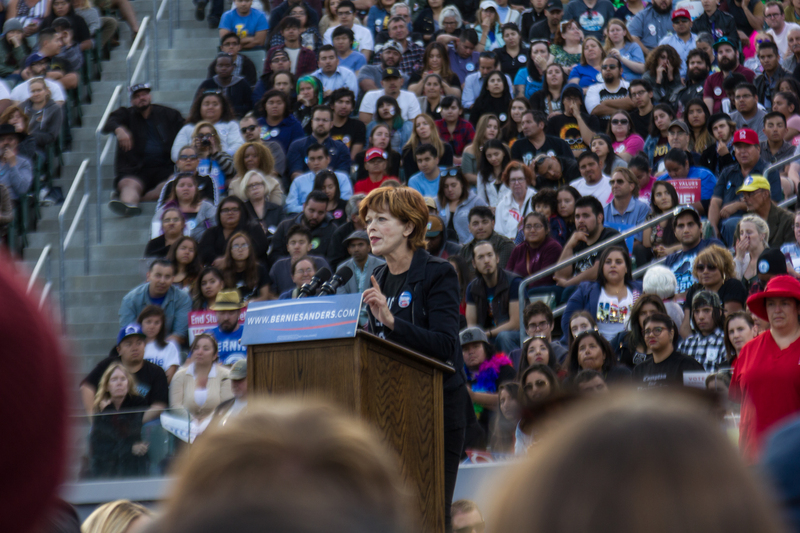 Hollywood actress Francis Fisher gives an introduction and pledges her support to the Sanders campaign at the Stubhub Center in Carson, CA on May 17, 2016. 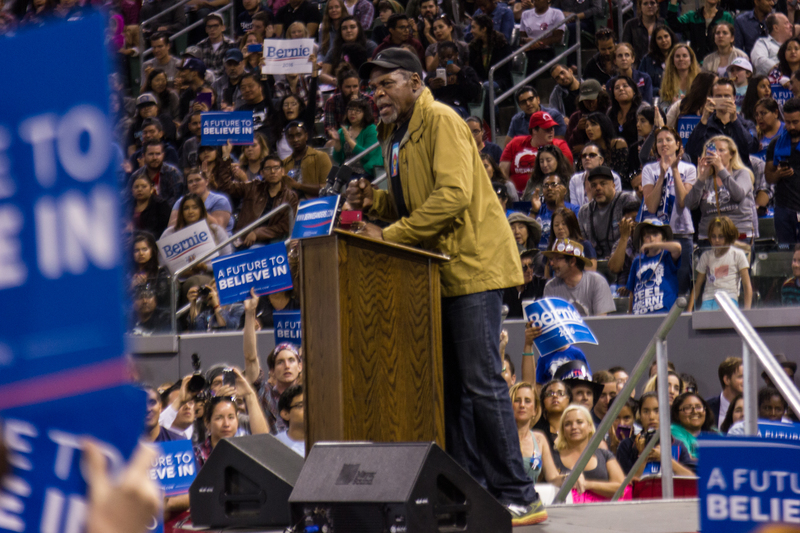 Actor Danny Glover gives an introduction for Senator Bernie Sanders at his campaign rally in Carson, CA. 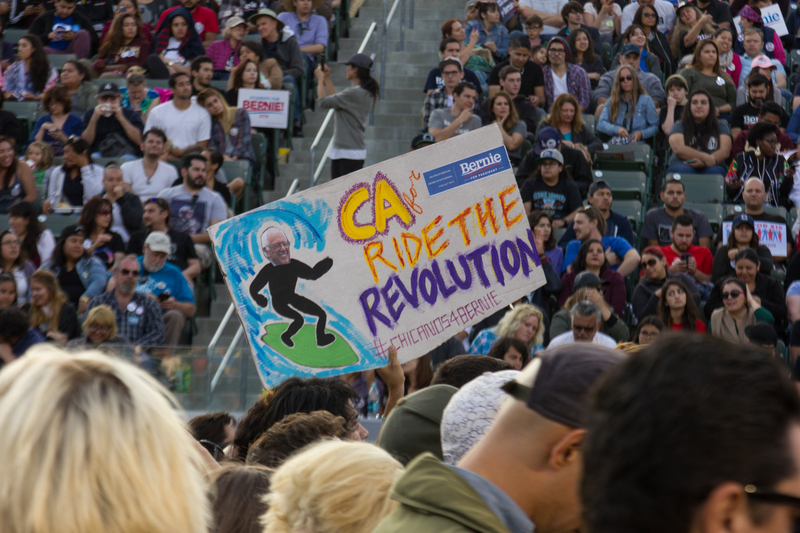 A supporter inside the Stubhub Center holds a sign that says CA for Bernie Ride the Revolution on May 17, 2016. 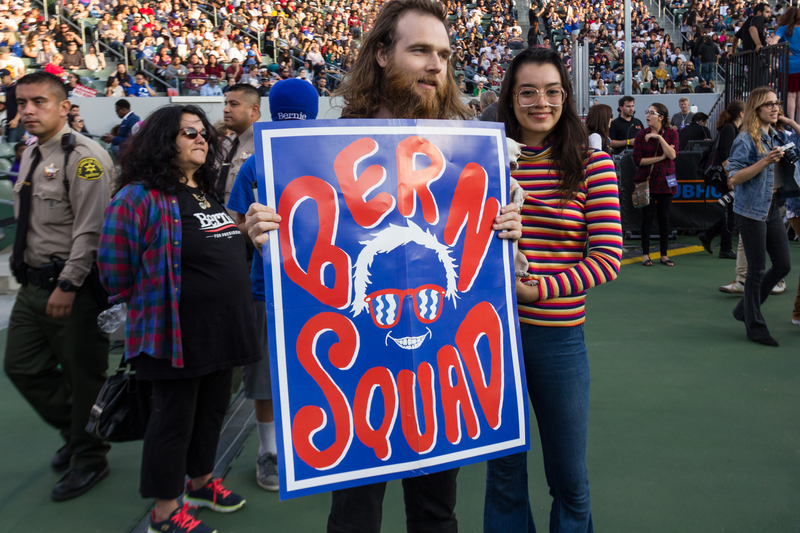 A man holds a Bern Squad sign on the floor of the Stubhub Center waiting to hear Bernie Sanders Speak. Senator Sanders takes the stage to address the capacity crowd inside the Stubhub Center in Carson, CA. 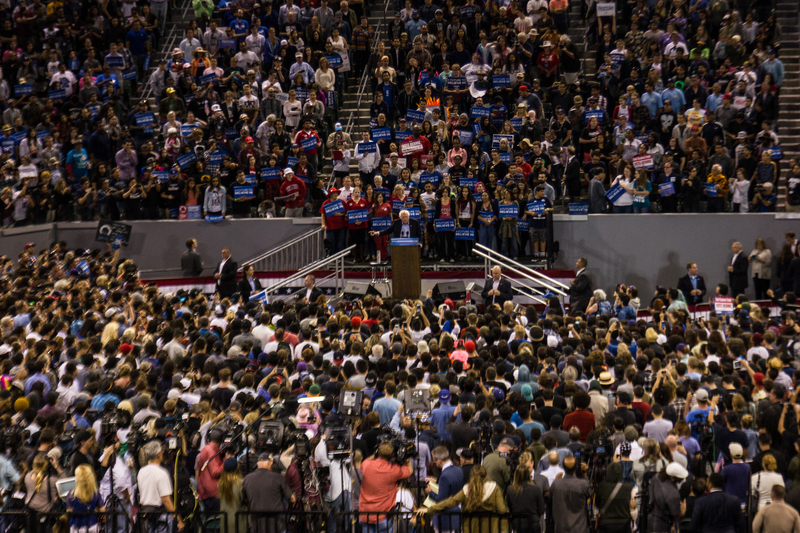 Senator Bernie Sanders gives a speech to a crowd of over 8,000 supporters for his presidential campaign in Carson, CA on May 17, 2016. 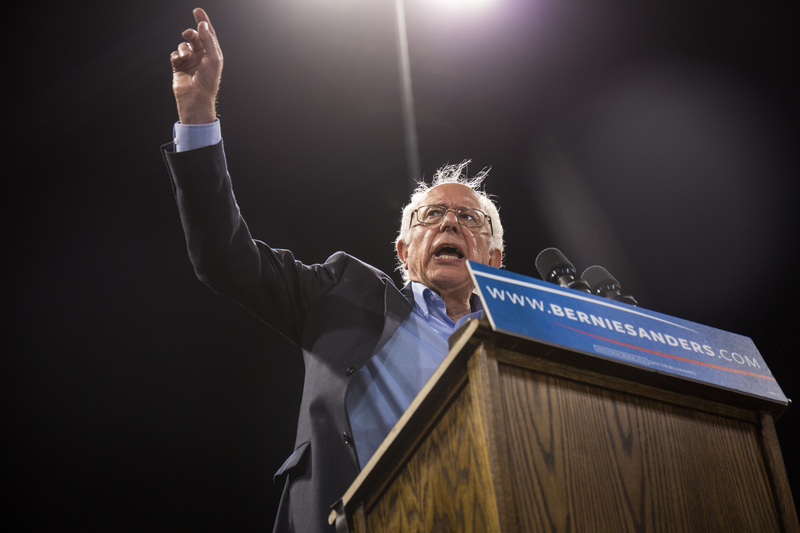 Democratic presidential candidate Bernie Sanders speaks to a crowd of his supporters for his primary campaign in Carson, CA on May 17, 2016. 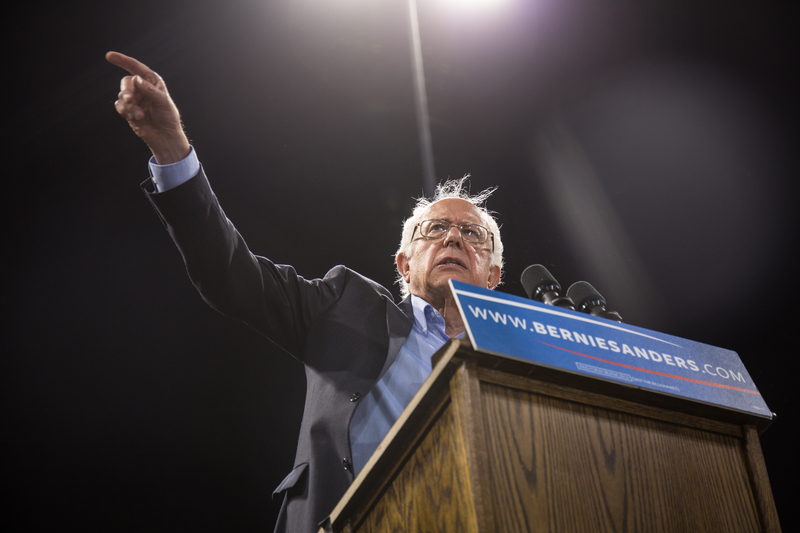 Vermont Senator Bernie Sanders begins his speech to thousands of supporters at the Stubhub Center in Carson, CA. 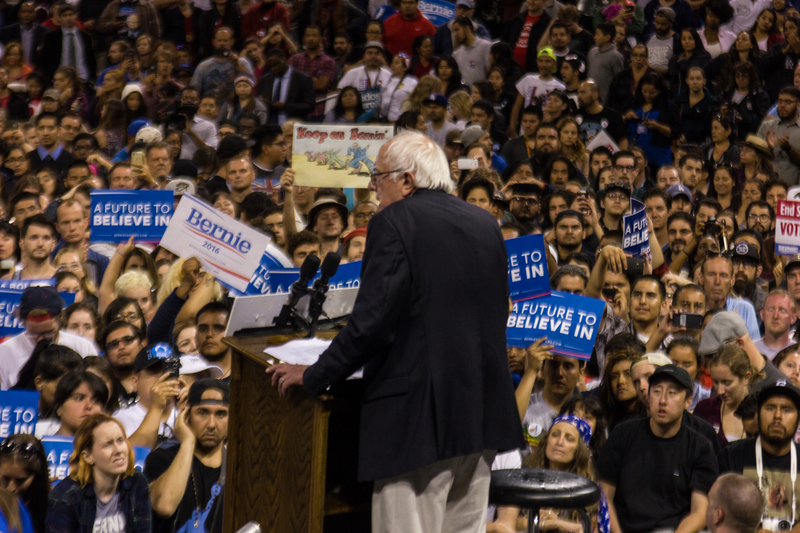 Presidential candidate Bernie Sanders speaking at his Southern California Election Night Rally in the Stubhub Center in Carson, CA May 17, 2016. 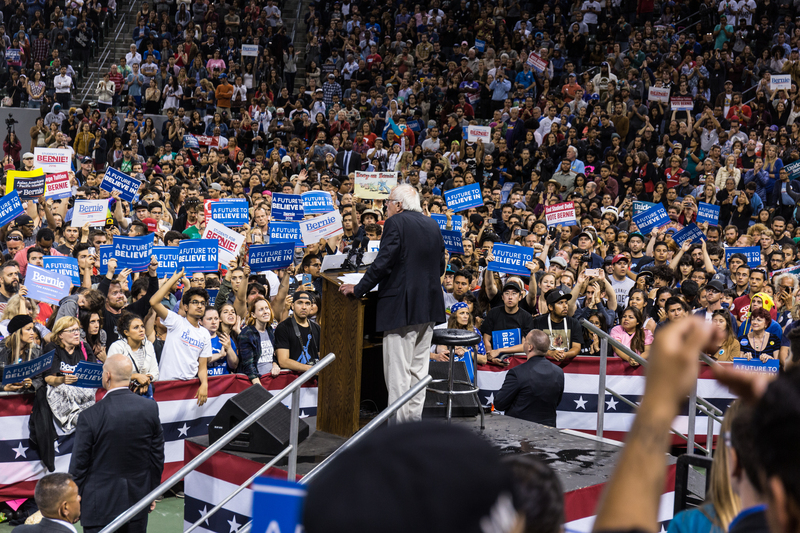 Presidential hopeful Bernie Sanders speaks to a crowd in the Stubhub Center in Carson, CA on May 17, 2016. 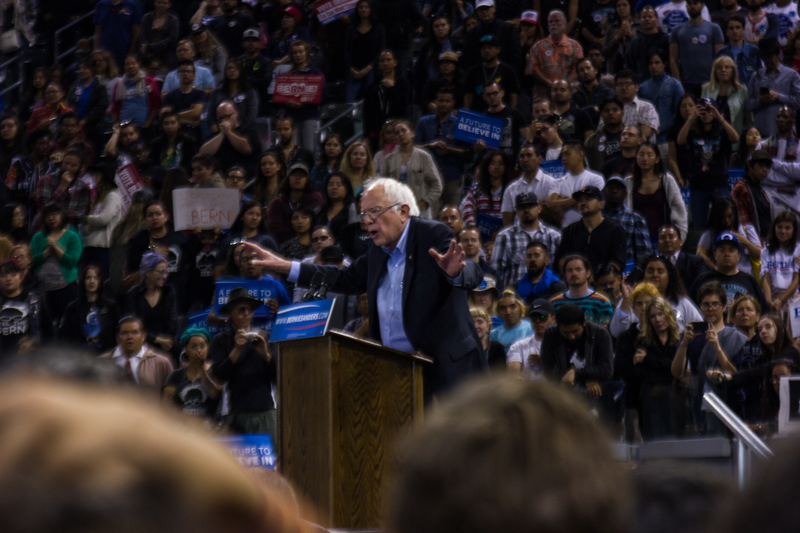 Bernie Sanders speaks to supporters at his rally about income inequality, free college tuition at state universities and community colleges, and a single payer healthcare system in Carson, Ca on May 17, 2106. 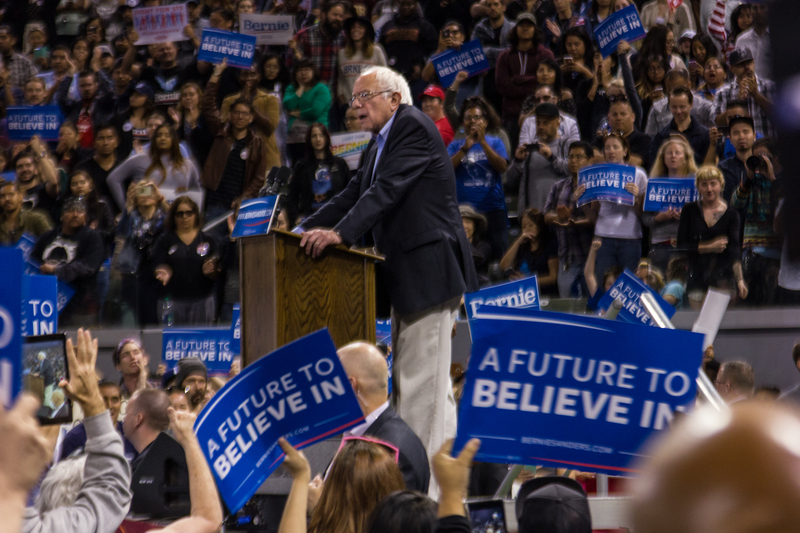 Senator Sanders begins to close out his speech at the Stubhub Center in Carson, CA on May 17, 2016.